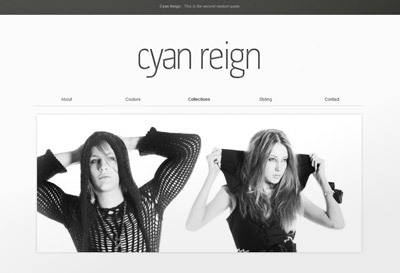 Become a free Cyan Reign member for email news, special offers and even something special for your birthday! The parade in support of Ovarian Cancer Australia for The Met’s Ladybird event was a huge success! A huge thankyou to our sponsors Simplicite skin care, Couture Cupcakes & Cookies, Wheel & Barrow, Viva Wellness Indooroopilly, Curves Australia and Stefan Hair Fashions! We would also like to thank Sogno Hair, Emma Masters (mua) and all the wonderful team of hair and makeup people that made the beautiful models even more gorgeous! All the stunning models and a special shout out to Boss Models Australasia for coming through with a few more models at the last minute for us! :D You are all very loved and appreciated! Last but most definitely not least we would like to give a very hearty thanks Mark Greenmantle for his amazing photography, to Kris Harman for being a fabulous backstage manager, Jaki Gee Kee, Mia Anderson and Nic Tardiota for being fantastic VIP attendants, Millie Nave who dealt very well with a very stressful week of work experience and finally a very warm thanks to all the volunteers and dressers on the night!